Over the next decade, Marlborough will become a globally-connected district of progressive, high-value enterprise, known for our economic efficiency, quality lifestyle, desirable location and natural environment. Marlborough will be ‘smart and connected’. 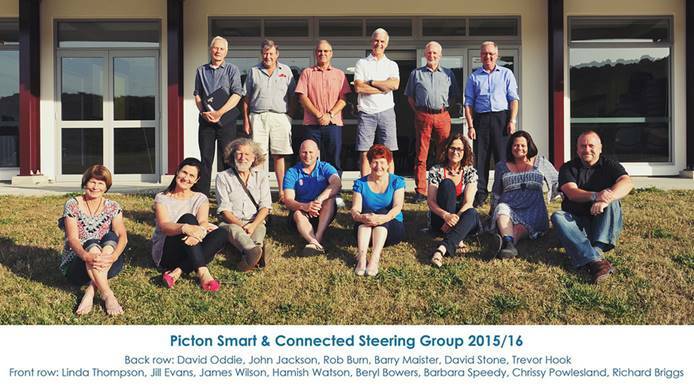 The Picton Smart & Connected Steering Group is a team of passionate volunteers promoting a more collaborative approach to innovatively addressing issues and opportunities relevant to Picton; a priority for the group is to aim for a coherent community voice when interacting with key local and regional partners including Council. A full plan was developed by the steering group which provides more detail about the proposed initiatives.